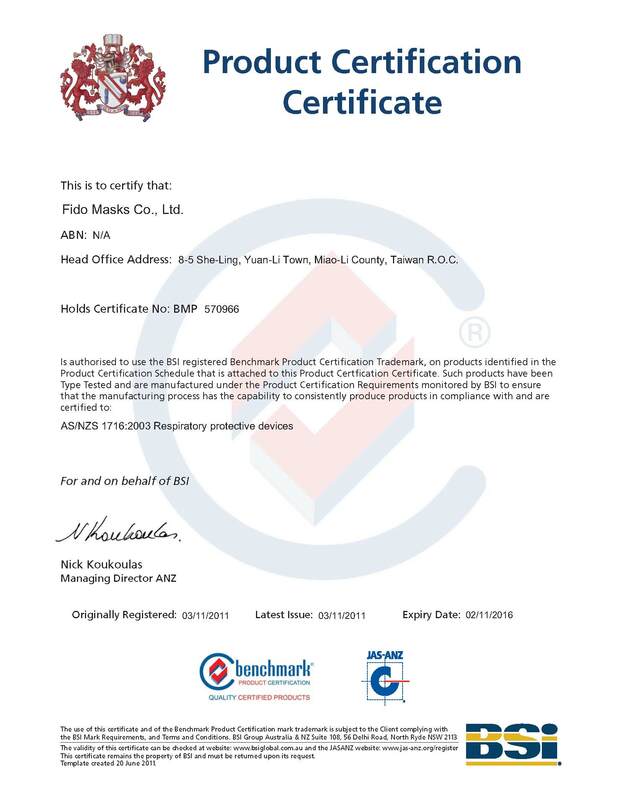 About Company's profiles - FIDO MASKS CO., LTD.
FIDO MASKS CO., LTD was founded in 1992, is a professional factory which specializes in producing protective masks. The dust-proof masks with CE certificated (11B EN149:2001 + A1:2009 ; EN1827:2009) are sold to Europe for years. All the series of FIDO masks are with excellent reputation for customer satisfaction. 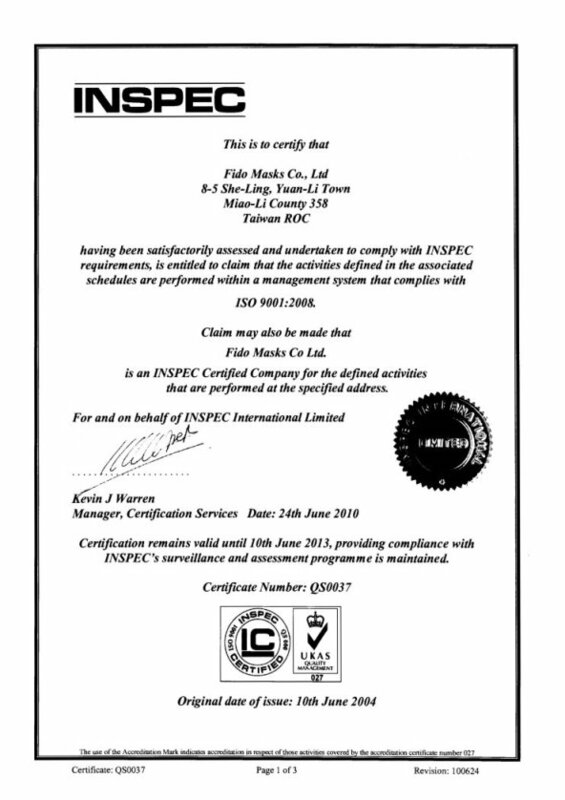 Our masks are certificated by INSPEC (11B) in British. From materials importing to producing, packaging and selling, all the process are under strictly control. And the masks are manufactured by the latest test equipment in accordance with ISO9001 TSI8130 standard audits to ensure the efficiency and quality of masks. If you're interested in our products or service, please feel free to contact us. A group of team in FIDO MASKS CO., LTD. will be honor and pleasure to do best service for you.